The Fourth Industrial Revolution isn't the future - it's the present - and any company which isn't ready for it is going to struggle to sustain itself into a tech-led future. Cloud computing is really set to come of age in 2019. 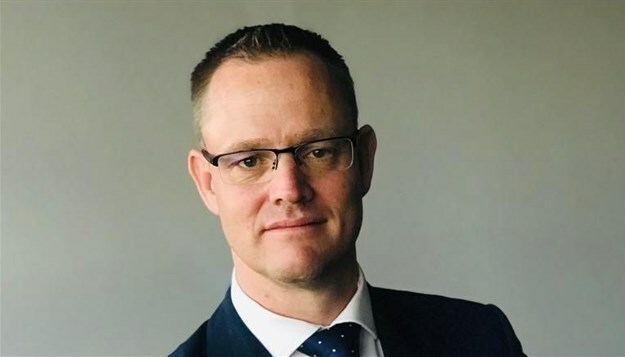 There’s been a lot of reticence in terms of its acceptance in South Africa over the last few years, partly because of PoPI, but also because the large cloud operators like Amazon or Microsoft haven’t hosted local data centres here. That’s changing rapidly, and I think that’s going to have a major impact in more clients adopting it – there’s a sense of security in knowing that your information is stored in a local data centre, not something somewhere far away, like Luxembourg. Cloud adoption is going to change the way every business, from SME to major corporate, operates. If I look at our business, it’s phenomenal what committing to the cloud has done for us – there isn’t a single part of our business that isn’t cloud-based. Whereas corporates used to lead because they had access to expensive infrastructure, the switch to the cloud means that SME’s can compete with them because they’re playing the same game, with the same rules. Corporates are traditionally more risk-averse than SME’s and many of them are struggling to adapt to a cloud-based way of working, whereas SME’s are more agile and have a culture that allows them to switch to new platforms. This technology is set to shape industries, heading into the immediate future. When I tell people I’m in robotics, they immediately think we manufacture physical machines that look like Wall-E which complete tasks on a production line. An example of what Robotics Process Automation (RPA) resembles is, is an Excel macro. Except that RPA is software-agnostic front-end automation process that does what a human could do in terms of running processes across multiple platforms. RPA, along with Machine Learning and AI are going to shape the way many companies do business – and soon. The area continues to grow, but adoption – up to this point – hasn’t been as quick as everyone anticipated, because there have been as many poor results because of bad implementations as there have been success stories. The platforms are all robust and powerful and a better understanding of how to get the most out of RPA means that corporates are seriously considering it – and software vendors are working hard to include it in their product offerings. What I believe is going to happen is that RPA is going to become more of a functional focus with an emphasis on best-in-class implementation to make companies more efficient and drive them onwards to becoming world-class organisations. Our discussions with clients are less about the technical nuts and bolts and more about how we can partner with them to provide them with a service that allows them to free up their time and staff to focus on more meaningful things. Yes, it will mean disruption as teams are able to be more specialised and more productive. Say ‘blockchain’ to people and they think ‘Bitcoin’ - but people don’t honestly understand it enough to realise the amazing potential it has for the future of just about every industry. There have been plenty of use cases for blockchain in commercial environments but it has been slow in taking off – though the momentum is steadily building because there are some real value-adding Blockchain solutions coming into the market. Blockchain adoption has implications for a host of industries, including the legal profession and banks – industries which rely on functioning as intermediaries because people don’t trust each other. The distributed ledger model and transparent transaction tracking ability of Blockchain will cut out the need for these intermediaries – smart contracts can be concluded automatically and payments can be made directly.